Cabin rentals near Stowe, Smuggler's Notch, breweries and hiking trails. Property 1: Cabin rentals near Stowe, Smuggler's Notch, breweries and hiking trails. 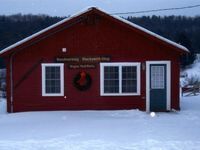 Cabin rentals near Stowe, Smuggler's Notch, snow machine and hiking trails. Property 6: Cabin rentals near Stowe, Smuggler's Notch, snow machine and hiking trails. Magical Log Cabin in the Woods - All Pets Welcome! Property 8: Magical Log Cabin in the Woods - All Pets Welcome! Jeffersonville Cabin - 2 Mins to Smugglers Notch! Property 9: Jeffersonville Cabin - 2 Mins to Smugglers Notch! Log Cabin, Organic, Holistic, Living with Nature! the Real Vt - Pets Welcome!!! Property 10: Log Cabin, Organic, Holistic, Living with Nature! the Real Vt - Pets Welcome!!! Dream Log Cabin, Yet Close to Everything! Dogs Welcome!!! Property 11: Dream Log Cabin, Yet Close to Everything! Dogs Welcome!!! The Private Fairytale Cabin of Your Dreams in Stowe! Featured in VRTravel! Property 12: The Private Fairytale Cabin of Your Dreams in Stowe! Featured in VRTravel! SPRING-SUMMER-FALL 5 Star Special Rate 4 Bdrms Pool/Spa/Zip Line/Hike/Bike/MORE! Property 15: SPRING-SUMMER-FALL 5 Star Special Rate 4 Bdrms Pool/Spa/Zip Line/Hike/Bike/MORE! NEW LISTING! Serene luxury cabin with wood stove & deck! Property 18: NEW LISTING! Serene luxury cabin with wood stove & deck! One of a kind, Caspian Lake Front Cottage/Home on the waters edge. Property 36: One of a kind, Caspian Lake Front Cottage/Home on the waters edge. 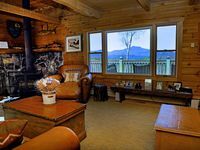 Jay Peak Cottage - Hills of the Jay State Forest - 5 mins to Jay! Property 39: Jay Peak Cottage - Hills of the Jay State Forest - 5 mins to Jay! The Perfect Vermont Real Log Cabin House. Property 42: The Perfect Vermont Real Log Cabin House. Welcome to Jay Brook Cottage! Property 50: Welcome to Jay Brook Cottage! This was our second time staying in the cottage and will most certainly be back again. Carole and Tom are amazing hosts. Nothing like farm fresh eggs in the morning and getting to see all of the farm animals. Location is great. Close to Stowe and a lot of area activities. We're looking forward to our next stay. Gordon&rsquo;s House was as advertised! Having 10 beds was awesome for a large group. Amazing views, great hot tub, and all the cooking amenities you would need.